Capgemini Career Jobs Opening 2018-2019 Core Java Developer Job Posts Download Application at www.in.capgemini.com. Capgemini Career Job has Recently Announced 2018 regarding Core Java Developer & Various Job Openings Interested and Eligible Candidates can Download Application Through Official website. 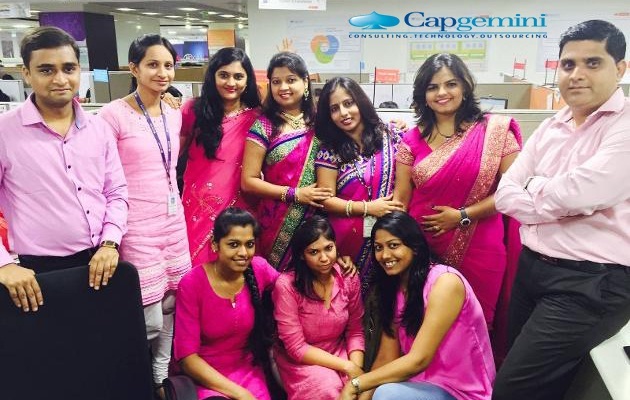 Capgemini Very Urgent Walk-in Drive in Chennai - Apply Now. Candidate should have very strong technical background in Java with spring & database experience. Contribute to development life cycle, requirements definition/analysis and feasibility analysis. Provide input to technical design of new solutions applying latest software design techniques. Decompose design into development plan tasks and provide accurate estimation of effort. Own the specific parts of a solution from design and development through to test and implementation. Ensure optimum performance and stability of the code developed and deployed. Take ownership of issues through to delivery or issue resolution or escalation, as appropriate. Code optimization, performance tuning, demonstrations to QA, BA teams, builds and deployments. Should have expertise in Java. Built MVC based Web Application Using JSP/Struts framework. Good knowledge of OOPS concepts, Hibernate and spring version 3.x 1, Spring Dependency Injection (IOC, MVC, JDBC, JMS, etc.). Good knowledge of Application Servers like Tomcat and WebLogic. Good knowledge of Restful services and Web services. Good knowledge of Database-Oracle or SQL. Experience in implementing JMS messaging services. Excellent team player, ability to work in a global team and follow through on deadlines. 117, Rajiv Gandhi Salai, OMR, Karapakkam, Chennai 6000096."